The weather outside might not be frightful quite yet, but winter is on its way! When the colder months start to arrive, it can be pretty hard to find a way to pass the time as a family. While going outside is fun, nobody wants to spend all day outside in the cold. 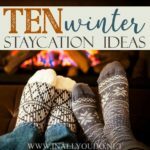 These family-friendly activities are designed to keep you entertained all winter long, and give you something to do as a family all through the winter months. There are hundreds of Christmas movies out there that the whole family can enjoy! From Rudolph, How the Grinch Stole Christmas, Frosty the Snowman, and Jack Frost, movie nights are perfect for winter months. Snuggle up under some warm blankets and make a big cup of hot chocolate for every member of the family. Get creative and create a hot chocolate bar and have each family member make their own twist on the typical drink to make it more fun and exciting. If you are lucky enough to live in a place where it snows, take advantage of that time and play in the snow together! You can build snowmen, go for a walk, or even go sledding if you have hills nearby. 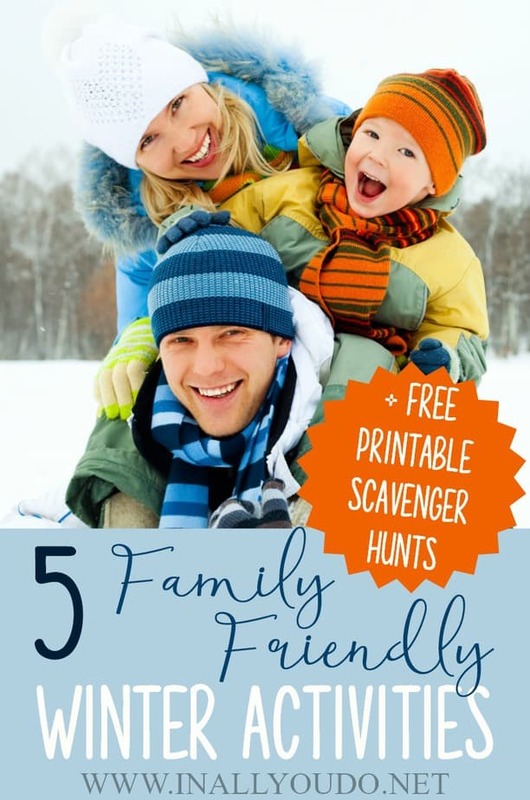 This can be a great way to get outdoors if you are willing to brave the cold and make memories together as a family. While you’re outside, don’t forget to take in a little bit of the snow and make some snow cream! There is something about the winter months that make us want to curl up with a good book. Find an audiobook that the whole family will enjoy and listen to your next book. To make it more fun, make a blanket fort in the living room with pillows and fleece blankets if you can. 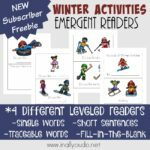 This can be a great way to do a little reading in your homeschool classroom as well! When the weather outside is too cold to camp, bring your campsite indoors! Set up tents in your living room or family room, and have a camping experience inside! Turn off all the lights and light your way by lanterns and candlelight. Just because it’s cold outside doesn’t mean you can’t get out and enjoy the fabulous parts of winter. 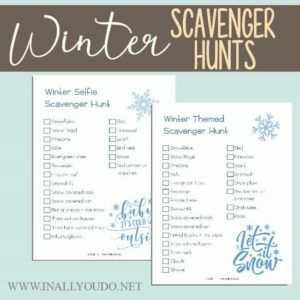 Create a scavenger hunt for your kids and teach them all about the winter weather and nature. Go with them as they look around the backyard or neighborhood for items on their list. 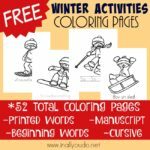 Most families spend more time inside during the winter months, which means you need some family-friendly activities everyone will enjoy! 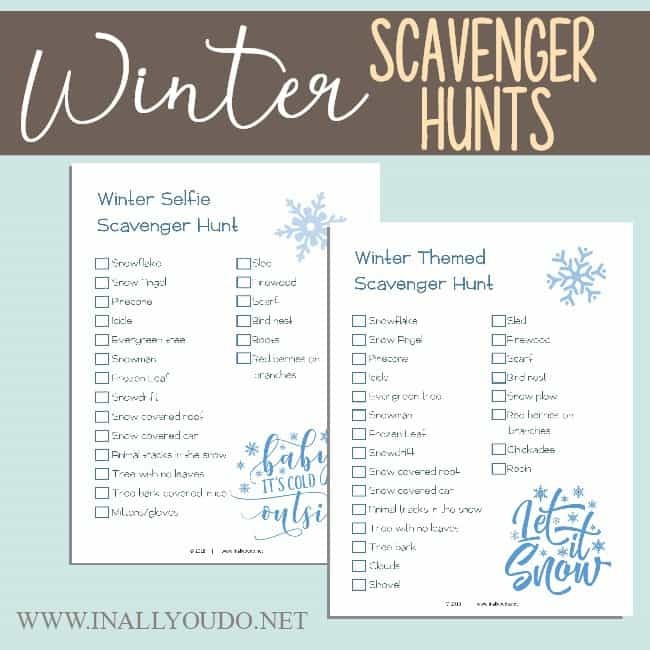 Download a FREE Printable Winter Scavenger Hunt to get you started!